With the number of altered vehicles increasing on our rads on a regular basis the Motor Vehicles Department (MVD) in Kerala is intensifying its drive against altered vehicles, therefore, causing several modified vehicle owners have decided to sell their vehicles. Online selling platform OLX and other websites have received several listings from vehicle owners to sell such vehicles. Whoops! Now that's an excess! It was only last month that the MVD started the ‘Freaken’ drive after it found a large number of modified vehicles plying on roads, flouting rules. 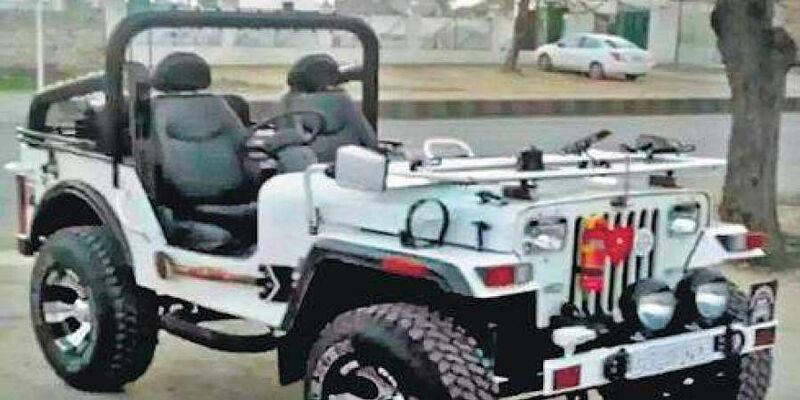 “We spent nearly Rs1 lakh on modifying our old jeep,” said the owner of a modified vehicle, who didn’t want to reveal his identity. “Our vehicle was stopped at Panampilly Nagar by the MVD. They issued a notice, asking us to produce the vehicle after removing the extra fittings. We don’t want to land in trouble by keeping such a vehicle, so we are planning to sell it,” he said. The department’s action has also affected modified vehicle providers from other states. When Express spoke to a Punjab- based dealer who mainly supplies modified jeeps, he said the demand for modified vehicles has come down. “Our business is mainly through the OLX website. We arrange vehicles from Punjab. We used to deliver nearly 4 to 5 vehicles every month. But we haven’t received any order this month,” said the dealer. Meanwhile, the MVD has also started monitoring RC details when it comes to the ownership change. “Since there is no need for physical verification of a vehicle for intra-state ownership change, we never insist vehicle owners produce their vehicles. But after our drive, several people have started selling their modified vehicles. Since many of them are selling the vehicles in the modified format, we have asked them to produce such vehicles. Only after removing the modified parts, will we issue permission,” said Deepu, a Motor Vehicles Inspector who worked under the Enforcement RTO to initiate the drive. According to the officials, the alterations made on tyres and other parts affect the stability and gravity centre of vehicles. “The manufacturers have set a turning radius for all vehicles, but the alteration changes everything. This will cause accidents. Also, replacing silencers causes environmental pollution. As per the Supreme Court order, vehicle modification is a crime. The drive will continue,” said Enforcement RTO K Manojkumar. -The Motor Vehicles Department will continue its drive against altered vehicles and alterations made on tyres and other parts that will affect the stability and gravity centre of the vehicles.